WITTENSTEIN SE’s Galaxie® gearbox has just been nominated for the Deutscher Zukunftspreis 2018, the Federal President’s Award for Innovation in Science and Technology, under the heading “A radically new gearbox class – productivity leaps in the engineering industry”. The jury’s final decision regarding this year’s winner will be revealed on November 28, 2018. German President Frank-Walter Steinmeier will present the Deutscher Zukunftspreis 2018 to the winners that same evening. During a press conference held earlier today (Wednesday, September 12) at the Deutsches Museum in Munich, the jury announced the three teams who have been shortlisted for this year’s award. 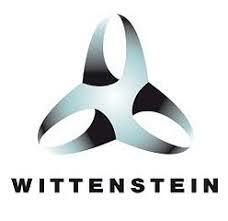 For WITTENSTEIN, a family run company with its headquarters in Igersheim (Germany), the nomination is a great honor and renewed confirmation of its extraordinary innovation performance. The new gearbox class has already won two prestigious awards: the Hermes Award in 2015 and the Innovation Award of the German Economy in 2016. The intention of The Federal President’s Award for Innovation in Science and Technology is to encourage world-class scientific achievements that are simultaneously marketable and a source of employment. Once a year, a jury comprised of 10 independent experts from academia and industry then selects three teams for the final round. The announcement of the winning team will be broadcast on German television (ZDF) on November 28, 2018.